What Can Aloe Vera Really do for Acne? The association between aloe vera and skincare is nothing new-people have been using it to treat everything from sunburns to eczema for centuries now. However, is this plant extract also a good addition for acne prone skin? The answer is a bit of a mixed bag. First and foremost, it's important to remember that aloe vera cannot really cure your acne on its own. The only solution for permanently stopping breakouts is addressing the problem at its root. 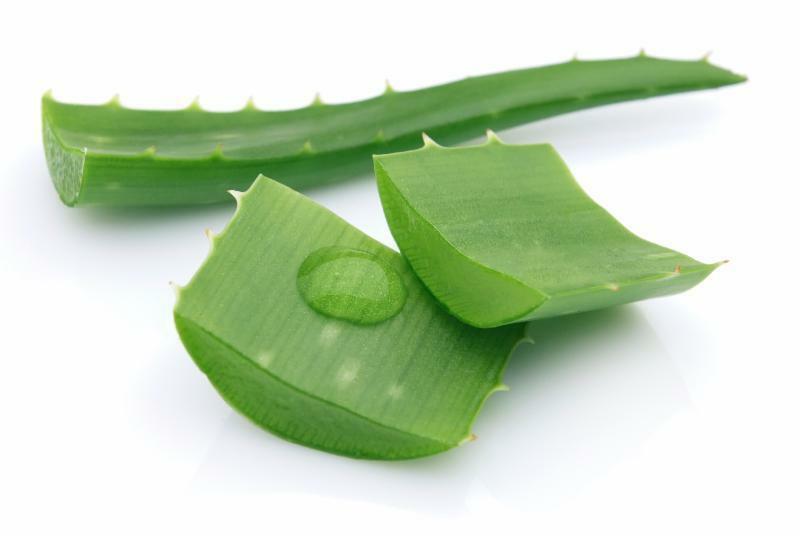 However, that being said, aloe can work as a wonderful supplemental product for certain acne-related issues. In its pure form, it's a non-comedogenic moisturizer with anti- inflammatory properties. Aloe vera has been around for a very long time-the earliest records of it come from ancient Egypt over 6000 years ago! They called it "the plant of immortality" and used it both medicinally and as a gift for pharaohs. Needless to say, since then, aloe has been a popular ingredient in all sorts of herbal remedies and beauty products. Aloe is classified as a succulent plant and is primarily cultivated today for its leaves that contain a gooey gel-which is used in a number of skincare and other health products. The plant is grown worldwide, and its popularity only continues to rise. When it comes to acne sufferers, there are a couple different ways that aloe can help with breakouts. First of all, you should be interested in aloe's healing properties. It's commonly used as a remedy for sunburns or minor cuts and scrapes, but it's also great for addressing the problem of acne scars. Aloe has a natural exfoliating effect that helps remove dead skins cells from the scarring site and it also promotes the healing and regeneration of damaged cells by increasing your body's collagen production. Collagen is one of the essential building blocks of skin, and the more your body creates the less noticeable scarring will be. Aloe also works as a softening and moisturizing agent. In addition to making acne scars less visible, aloe is also beneficial for its anti-inflammatory and redness reducing properties. While these properties won't cure your acne, they will help minimize the visible symptoms and offer some protection against future outbreaks. Finally, aloe vera is also quite high in vitamin A. This is an essential nutrient that helps your body naturally remove its dead skin cells. Dead cells left on the skin can cause clogged pores that create a breeding ground for acne-causing bacteria, so anything that can help the exfoliation process will be a benefit to you. Aloe vera comes in several different forms these days. The most natural choice would be to use the gel straight from the plant's leaves. This gel can be applied directly to acne scars once a day to help reduce their appearance. You may use the gel on unaffected skin as well, but keep in mind this might not be effective. Aloe has difficulty penetrating the upper layers of healthy skin, which means that any potential health benefits it could have will be lessened. However, you may still find that is has a temporary but pleasing moisturizing effect. There are many skincare products on the market these days that contain aloe vera gel or extracts. When using things like this, it's important to be a smart consumer. Check the label to see what other ingredients have been added to the product-unfortunately, you may find that it's full of harsh, less-than-natural chemicals that can negate any of the potential benefits the aloe would have on your skin. Aloe vera juice is another increasingly popular trend. Drinking the juice from this plant will probably not be as effective as topical applications for reducing acne scars, but it does have other applications. It's a great way to absorb aloe's vitamin A and all the exfoliating benefits that come along with it. However, keep in mind that, like other juices, producers of aloe juice may add unhealthy ingredients into the mix-like extra refined sugar for sweetness. So make sure you sure only use PURE aloe products to amplify your benefits.